he Absolute Evil is sitting pretty after thoroughly deposing Tanos during the events of Lord of the Kings. 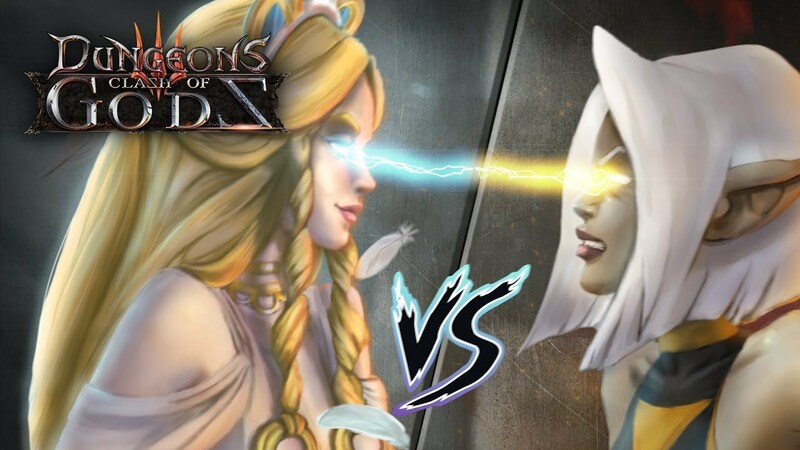 Victory and peace never lasts for long in the world of Dungeons 3, and the pesky Goddess of Light has surfaced for one final, titanic battle. Can’t we all just live in darkness and evil? Kalypso Media is howling with delight as it unleashes the latest expansion pack for acclaimed dungeon management sim, Dungeons 3 - Clash of Gods. Check out the new gameplay trailer for a preview of the coming battle between light and dark. The Clash of Gods expansion pack comes with eight new campaign missions, a new co-op multiplayer mode (after all, pillaging is much more fun with a fellow villain), two new antagonists that will test Absolute Evil’s mettle, three new dastardly traps and spells, and new outposts to fortify your defenses. But watch out, invading heroes can now also set up their own outposts in the name of the Goddess of Light! Clash of Gods is the ultimate battle between light and dark. Can the Goddess of Light avenge Tanos’ defeat, or will evil finally conquer all? Additionally, be aware that we have released free Update 1.5.2 already, which comes with a new sandbox map and more.